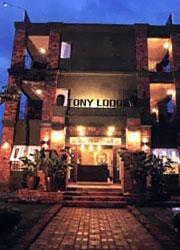 TONY LODGE-KHAO LAK is located in the center of Khao Lak, just 5 mins walk to Bang Niang Beach. We also provide free transportation in Kha Lak area. 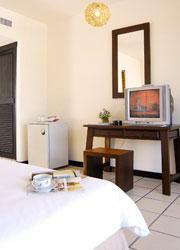 The hotel is cozy,clean, convenience, and reasonable price. This is so suitable for all style travellers,especially backpackers and also family trips. The Khao Lak Tony Lodge hotel in Khao Lak lets you experience the well known Asian hospitality and customer satisfaction which shows in the dedicated hotel staff that is always eager to help and welcomes every question that you might have. You can expect numerous facilities such as a 24-hour available reception desk and room service. Several facilities at the Khao Lak Tony Lodge Hotel Khao Lak will surely satisfy your requirements. Also, the friendliness of the establishment's staff will make your leisure or business trip a complete success. Why not just sit back and relax to fully enjoy your hotel stay in Khao Lak, Thailand? 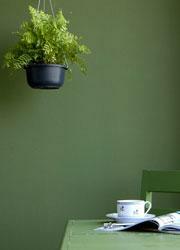 The hotel also provides local and international dishes at its food and beverage outlet. Even when you should be outside the hotel the whole day you can have at least breakfast at the restaurant before you leave. Other facilities available at the Khao Lak Tony Lodge are 24-hour hotel room service, as well as express laundry and dry-cleaning service. Security is also a strong point, with video surveillance and round-the-clock guard service. Safe deposit boxes can additionally be used to store your valuables. Despite having low rates, you get comfortable Khao Lak hotel accommodation in a contemporary setting. Nevertheless, cleanliness and service quality are of a high standard. All hotel rooms have individually controlled air-conditioning and numerous amenities such as private telephones and a well stocked Mini Bar to make your stay at the Khao Lak Tony Lodge as pleasant as possible. The rooms themselves were furnished tastefully while being functional in a way that always keeps the guests needs in mind.